In 2017, Tina Muir announced she was taking a break from professional running to try to get pregnant. 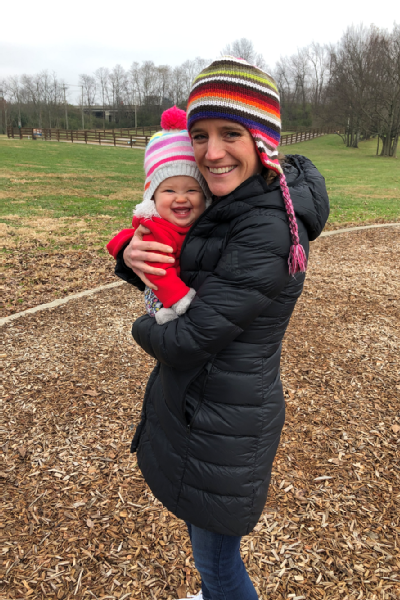 Celebrating daughter Bailey's 1-year birthday in January served as a victory lap for Tina Muir, an elite runner who earned 11 All-American honors at Ferris State University before going pro. 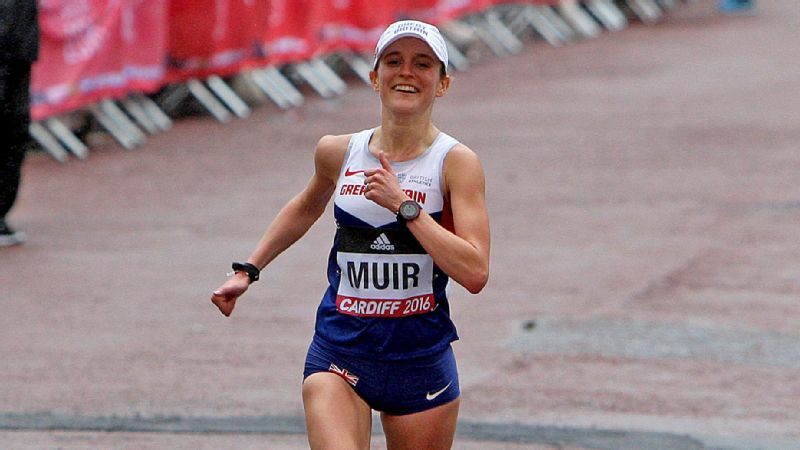 In 2017, Muir announced she was taking a break from the sport to increase her odds of becoming pregnant. After nine years with amenorrhea -- lack of menstruation -- Muir was worried that running was preventing her from becoming a mother. Now, Muir, 30, is back on the competitive circuit, albeit in a different way. We caught up with her to chat motherhood, running and the launch of her new book, "Overcoming Amenorrhea." When I first stopped running, I wasn't sure how long it would take to get pregnant, if at all. Fortunately, it only took 10 weeks; I never even had a period. Because I'm a runner and so in tune with my body, I knew right away that I was pregnant. It reaffirmed that I had done the right thing. I think that by channeling my competitive nature into getting pregnant, it all worked out. 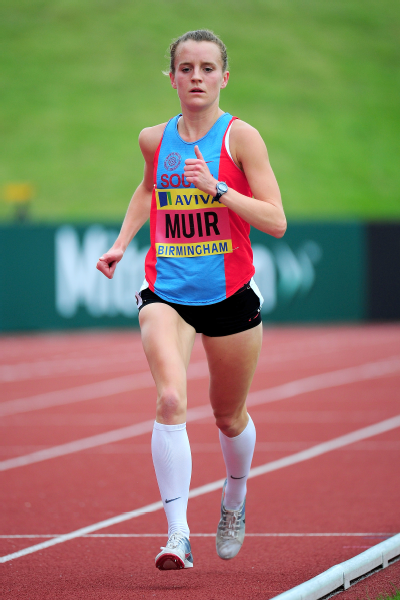 Muir competed in two British Olympic trials, finishing third in the 10K in 2012, and fifth in the Marathon in 2016. During pregnancy, I slowly returned to some running. I kept my heart rate very low and recognized that I was in a different place with the sport. In addition to running an easy pace, I kept the mileage low, about a third of what I'd normally run. At my highest, I think I ran a 31-mile week, and toward the end, I definitely took walk breaks. I think there's no such thing as too easy when you're pregnant and I was at peace with that. I always knew I wanted to be a mother, and having Bailey is a proud accomplishment for me. Looking back on the past year, I can say that she has been my only focus. I've felt very calm and cherished my time with her, and as a result, she's a very calm baby. I have this opportunity to teach her the right values and to be a good person. One of my goals as a mother is also to teach her to enjoy food and not pass along my past food restrictions. When I was competing, I didn't eat enough to support that effort. Now if I want a burger and fries, I will have a burger and fries, along with dessert. Right now with running, I want to make the sport about joy, not the finish line. I could have come back and tried to run fast and be competitive, but that's not where I am right now mentally. I ran the Disney Half Marathon in January because I knew it would be fun. I have always been a Disney girl, so bringing those two things together in one place was the best way I could think of to make this new chapter in my running life about fun. While I'm training again, it's different. I'm still holding back. Now I tap out around a 70-mile training week, instead of my old 90 to 95 miles per week, and keep a full rest day in the mix. I've put Bailey first at all times. If I take her out in the running stroller and she's not having it, I turn around. I've established a "do the best I can with what I have" mentality. Muir with her daughter Bailey, shortly before Bailey's first birthday. I will be running the Boston Marathon in April. This will be a very different experience than how I've run past marathons. I've asked to be seeded in corral one, not the elite corral. I don't want the pressure of comparison -- it's too much right now. If I feel good when I'm running and I want to run fast in the second half of the race, great. But if not, I plan to smile and just have fun, and enjoy the amazing support from the crowds. Many women don't feel comfortable talking about amenorrhea, so I thought it was important to write and share my story to help others. My book began as a journal when I was trying to get pregnant. I found it was very therapeutic and I enjoyed the experience. After I shared my story and it got so much media attention, I began hearing from women trying to get their periods back. I didn't want to be a slave to my computer and phone responding to all of them, so I decided to put it all down in one place. I wrote when Bailey was napping or whenever I could grab a few minutes to myself. The culture of women's running has been one that values short-term, immediate feedback: Coaches and athletes equated losing weight with getting faster. Driven people will do whatever it takes to get faster and if that means restriction, then many follow that path. You do speed up initially but it's not sustainable. I think this has been a big issue at the collegiate level in particular. This is where I got into trouble -- I wanted to look like the other elites and my body isn't built like that. The good news is that I think things are beginning to change. Many people are starting to demonstrate that it's not about how thin you are. We need to send the message that we each have our own shape and size and that we should embrace that. I plan to have more children in the future. We will probably try again within a year. I have no idea if pregnancy will come as quickly a second time around but I hope so. Knowing this is my plan also made it easier to not drive for PRs with running right now. I will be stepping away from racing again soon, so there was no point in getting into super competitive shape right now. And I'm at peace with that.